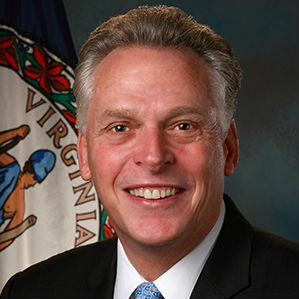 Governor Terry McAuliffe announced Tuesday that companies participating in the Commonwealth’s Virginia Values Veterans (V3) Program have hired 1,451 Veterans between July 1, 2014 and September 30, 2014. Through the V3 Program, these companies have made public commitments and goals to increase employment opportunities for Virginia’s Veterans. With over 550,000 Veterans in Virginia’s labor force, the Commonwealth boasts the highest labor force participation rate (68.1%) among veterans in the United States, according to the Bureau of Labor Statistics. In 2012, Virginia became the first state to have an official state program dedicated to training employers on the value of hiring veterans. Since its inception, 230 V3 companies have set goals to hire 8,150 Veterans. This latest quarterly report brings the total number of Veterans hired to 6,636. V3 companies are categorized into four different business sizes — based on typical human resource and recruiting capabilities for each category. About the Virginia Values Veterans (V3) Program: The Virginia Values Veterans (V3) Program is an official Commonwealth of Virginia Department of Veterans Services Program whose mission is to educate and train employers throughout the Commonwealth on the value of Virginia’s Veterans, and to help employers connect with these personnel to maximize the productivity of their workforce.